One-of-a-kind pieces, fashioned in the hands of an artisan, make an interiors scheme truly unique. These are the talented specialists we are celebrating right now. 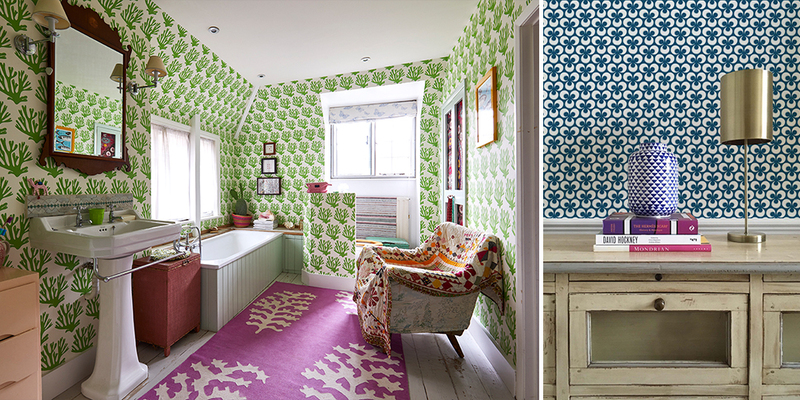 Images above: Molly Mahon Wallpaper (Credit: Sarah Hogan); Ottoline de Vries Wallpaper. With a passion for sewing, making and crafting, Rosi de Ruig started producing intricate paper lampshades from her home studio four years ago. She provides beautifully crafted shades, undertaking bespoke and off-the-peg template commissions. ‘It’s good to be bold,’ she says. ‘I like trying out unexpected colour combinations, shapes and patterns. Clients often visit me at home, which is helpful as they get to see my designs in situ, as well as where I work.’ Look out for a new range of high gloss lamps, which pair beautifully with her Indian Papers lampshades. 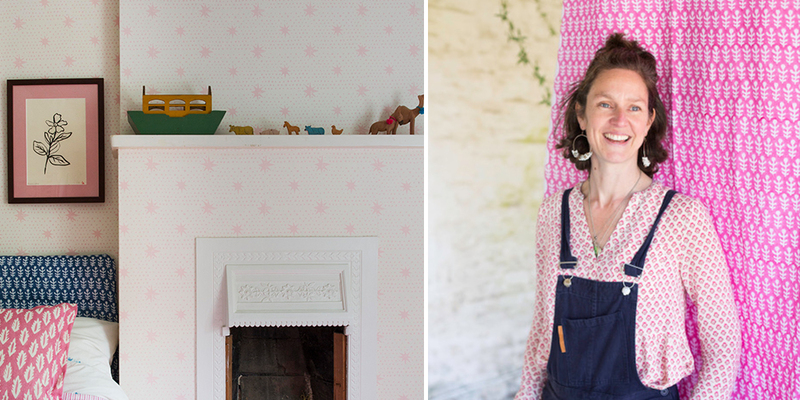 Entirely self-taught, Molly Mahon has been producing block printed artisanal textiles, wallpapers and homeware from her studio in Ashdown Forest, East Sussex, since 2011. Her work bridges the gap between traditional British block printing and global ethnic designs, resulting in relaxed, colourful and timeless pieces. Her Jaipur collection is inspired by Anglo Indian influences, combining the rich colours created in the dying vats in Jaipur with quintessentially British designs. Block printing workshops run throughout the year. 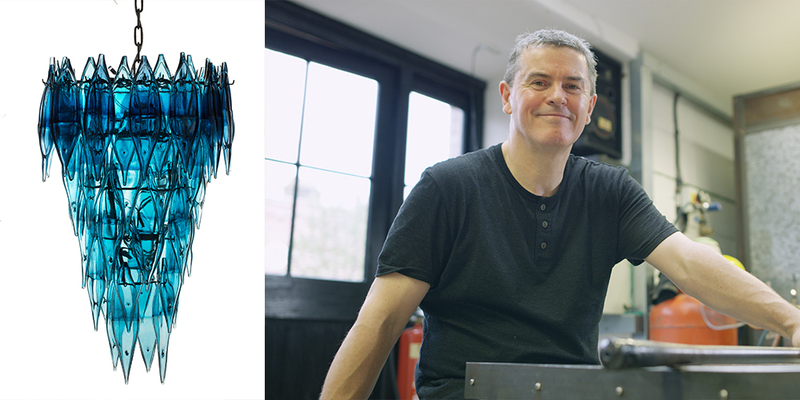 Taking his cue from the deep colours of the landscape of Wicken Fen, Stewart Hearn has been blowing contemporary glass vessels for more than twenty-five years. He founded London Glassworks before moving to Cambridgeshire and launching an eponymous collection. Each unique piece, including vases, jugs, bowls and lighting, is crafted entirely by hand and etched with his signature. He also offers a bespoke service to restorers and the public, remaking or replicating objects that have been taken out of production and are no longer available. 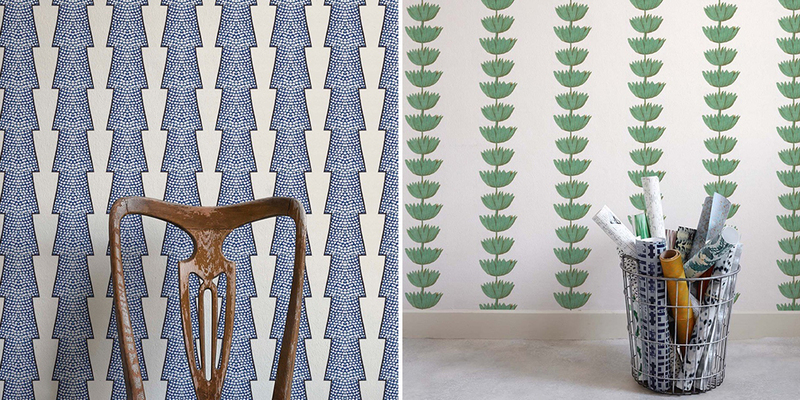 Inspired by geometric shapes, street scenes and surrealist art, this UK-based Dutch designer produces vibrant fabrics, wallpapers and furniture with a contemporary edge. 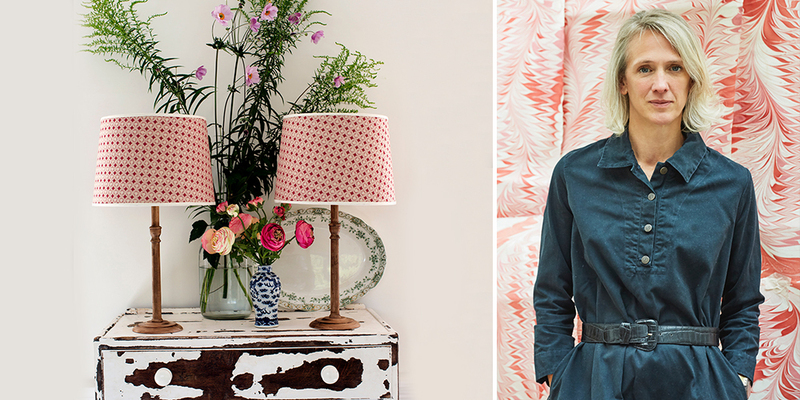 She launched her own wallpaper collection in 2011, quickly expanding to incorporate fabrics, lampshades and cushions. Using digital technology to reinterpret her love of bold colour and graphic pattern, Ottoline has supplied wallpaper to Dutch museum Willet-Holthuysen. 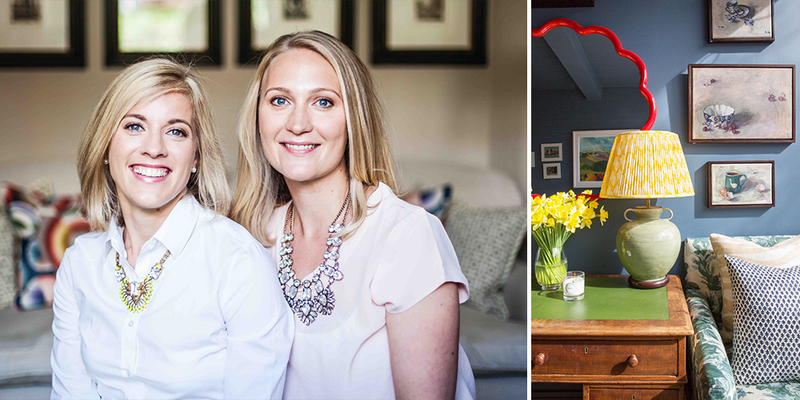 She also produces bespoke orders alongside a thriving online range.